A vivid carpet of autumn leaves covers the Snoqualmie Trail. Miller's Drygoods Store was a part of Carnation and the Snoqualmie Valley for longer than anyone can remember. The morning mist envelopes the trees of the Cascade foothills. 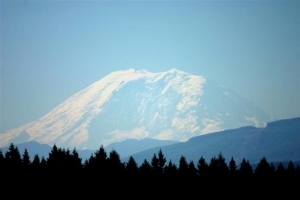 The morning sun illuminates Mount Rainier in contrast to the lush evergreens of the Snoqualmie Valley. The brilliant sunset silhouettes a Snoqualmie Valley forest. Mt. Rainier in the distance from the Snoqualmie Valley. 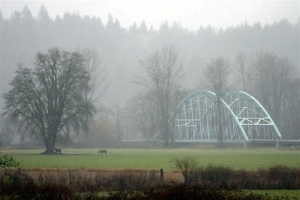 The soft colors of the Novelty Bridge bring color to a misty, Snoqualmie Valley morning. 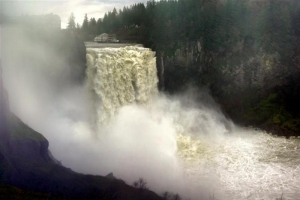 Winter floods swell the Snoqualmie Falls to thunderous proportions. Two enthusiasts fish for their breakfast in the fog near John McDonald Park. 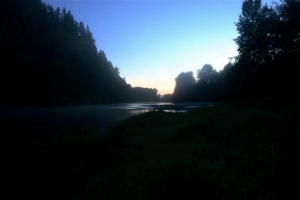 A new day breaks along the Snoqualmie River.